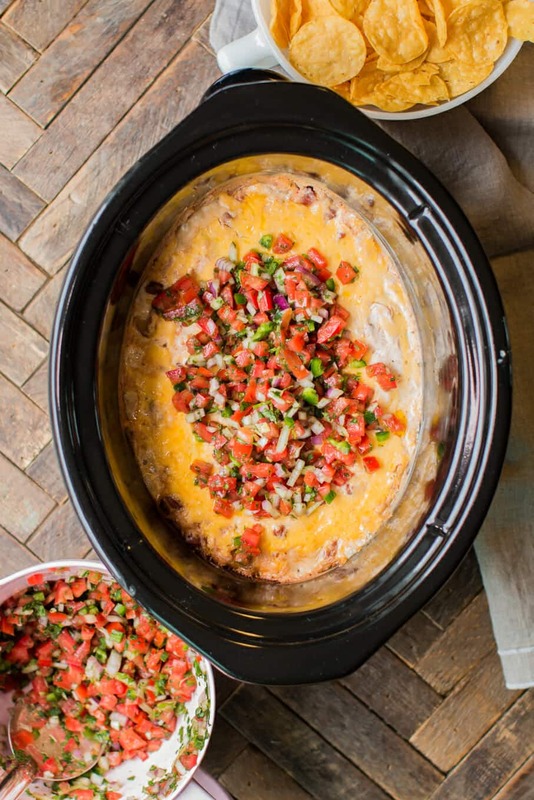 Looking for a decadent game day recipe? 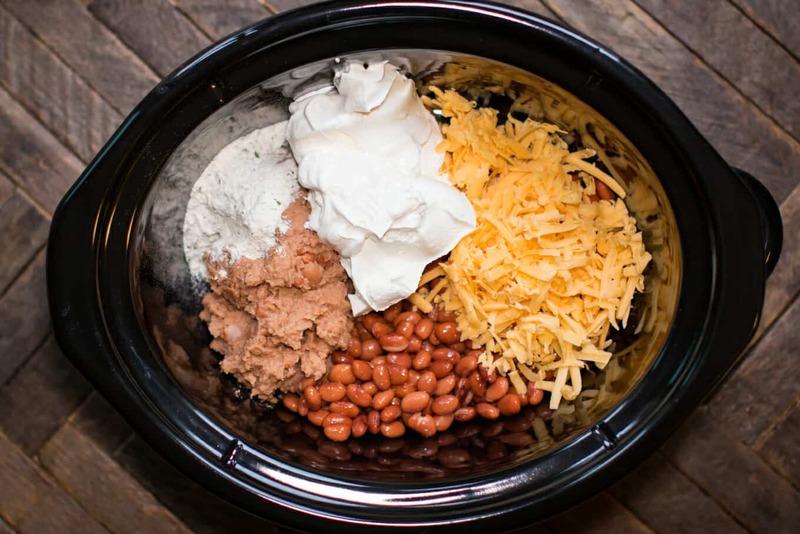 This Slow Cooker Creamy Ranch Bean dip will be loved by all! What are your game day plans? My husband always requests some sort of bean dip to take to his brothers. 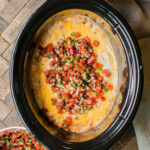 This recipe is very creamy, cheesy and very easy to mix up right in the slow cooker. In addition to the refried beans I added pinto beans, I know not normal. I wanted a bit of texture in this. I also made a homemade Pico de Gallo (salsa fresco) to spoon over this. 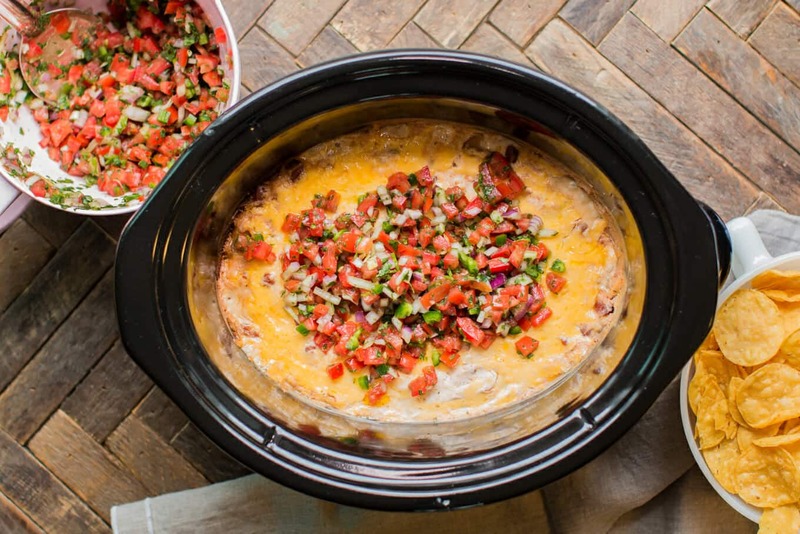 That made this dip over the top, but really any salsa would be a great addition to this. If you need a recipe for the salsa, this recipe here is similar to what I made. 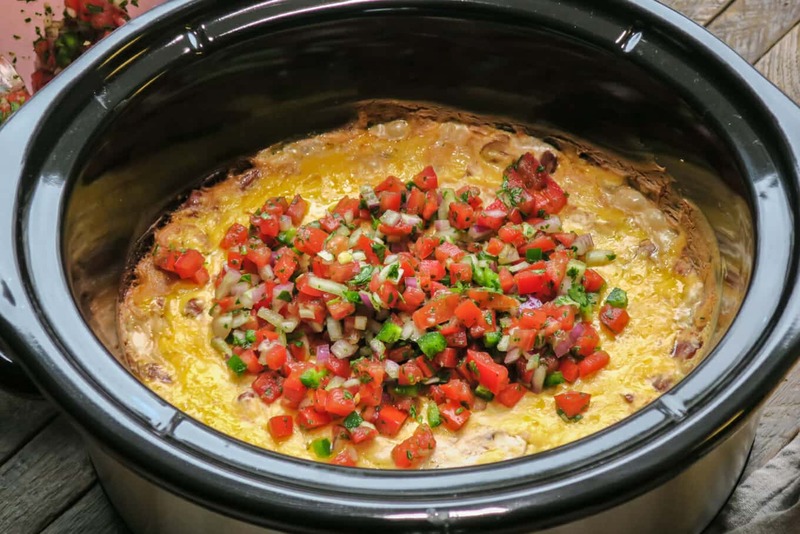 Here is my YouTube video about how to make this Creamy Ranch Bean Dip. You can follow me on YouTube, here. 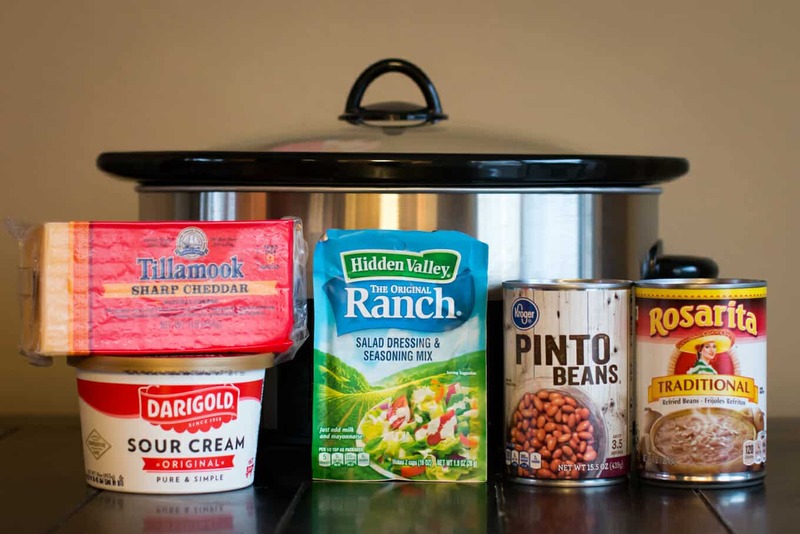 Add the refried beans, pinto beans, sour cream, 1 cup of the cheese, and the ranch dressing packet to the slow cooker. Stir and flatten out. Clean up the edges with a paper towel for a cleaner look. Cover and cook on HIGH for 2 to 2 1/2 hours or until hot and bubbly. Serve with salsa and chips. Nutritional values are approximate and do not include the chips. 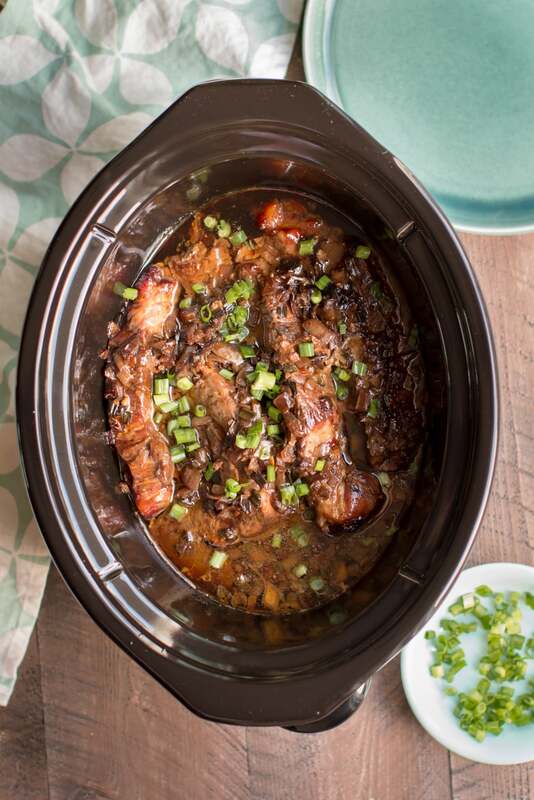 I used my 6-quart Crock-Pot for this recipe, though a 3-quart or larger should work fine.